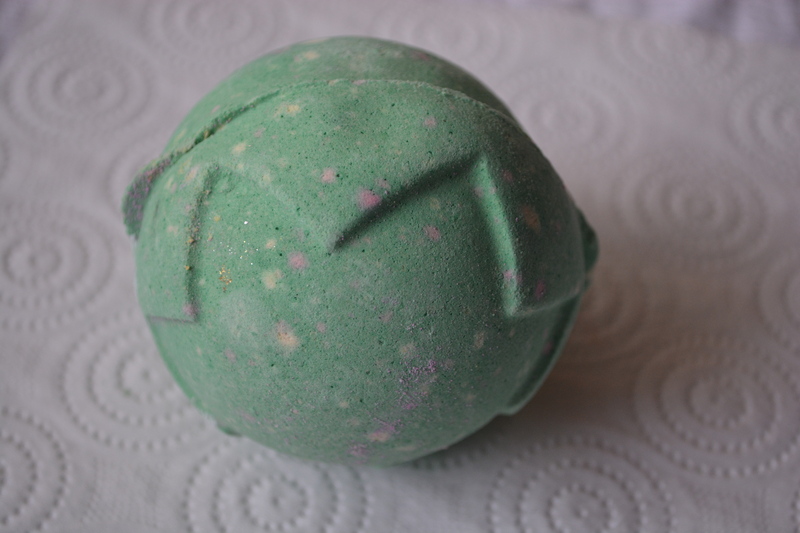 If you visited a Lush store last Halloween you will recognise the Lord of Misrule bath bomb. I remember I bought a couple of these last year and enjoyed using them, so I am looking forward to using it again. Lord of Misrule does not look very exciting from the outside but once you pop it in the bath you will be amazed at the colour the water turns, a rich deep wine. This bath bomb contains Black Pepper Oil, Patchouli Oil and Fair Trade Vanilla Absolute. I am not sure I can smell the vanilla but there is definitely a sweetness in there. 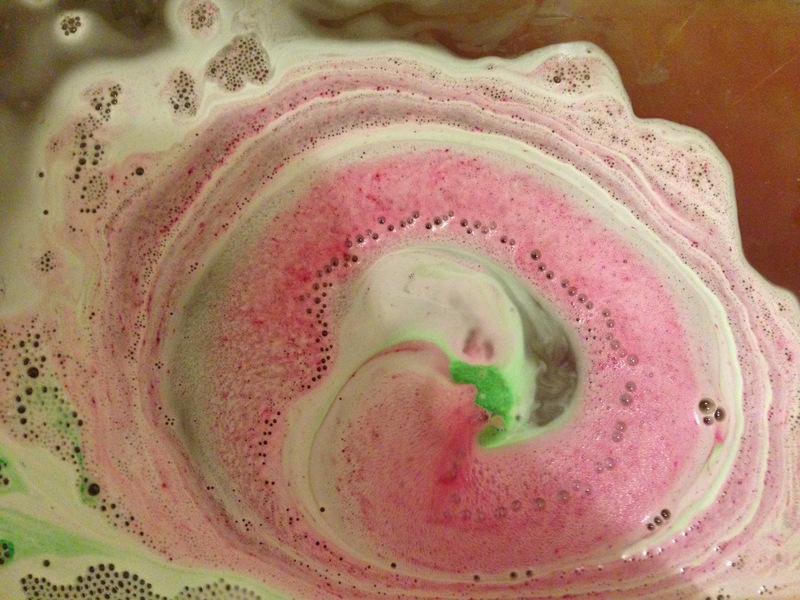 The scent of Lord of Misrule was not as strong as Northern Lights once it had fully dissolved, so those of you who prefer more subtle scents may like this bath bomb better. Like Northern Lights it fizzed away for a long time before it was fully dissolved and I loved the patterns it made in the bath. 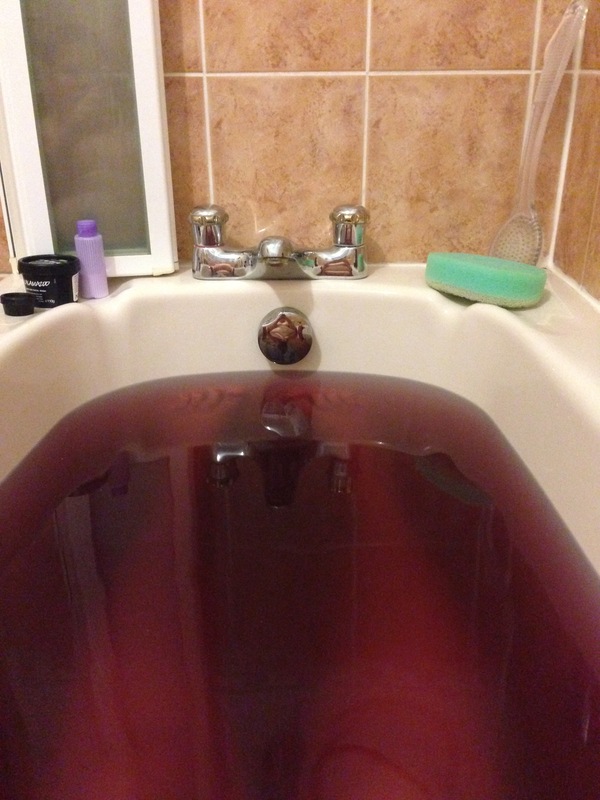 The colour it turned the bath water made it feel very luxurious, like I was bathing in wine – which would be awfully messy in reality I am sure! I will definitely be purchasing another Lord of Misrule before they are discontinued, I enjoyed the scent and it just feels like a very autumnal bath bomb. Lord of Misrule is priced at £3.50 and available here.